The following is an overview of the process of regulating nuclear waste and the different programs and agencies involved in dealing with this issue according to United States Nuclear Regulatory Commission. The US Nuclear Regulatory Commission (NRC) is a Federal agency that is responsible for maintaining a safe environment. This agency licenses and regulates the use of radioactive materials such as source material (uranium and thorium), special nuclear material (enriched uranium and plutonium), and byproduct material (material made radioactive in a reactor and residue from the milling of uranium and thorium). Through Part 20 of the NRC Regulations - Title 10, Code of Federal Regulations the agency follows specific requirements for radiation inspection, which includes dose limits for workers, exposure limits, monitoring and labeling of radioactive materials, posting informative signs, reporting theft or loss of radioactive material, and penalties for not complying with these regulations. Currently, about one quarter of the more than 20,000 active sources, byproduct, and special nuclear materials licenses that are in place in the US are administered by the NRC. The other licenses are administered by 35 Agreement States that express interest in establishing regulatory authority, under the Atomic Energy Act of 1954. Through the National Materials Program the NRC is able to coordinate with the states to regulate radioactive materials. The NRC has the ultimate leadership role in the end, providing technical support and maintaining regulatory information databases. The regional offices of the NRC have designated staff (Regional State Agreement Officers) who consult with Agreement States and the Regional State Liason with the non-Agreement States and all other states involving matters of reactors or other Federal jurisdiction. The Office of Federal and State Materials and Environmental Management Programs also provides backup for the regions. The Conference of Radiation Control Program Directors (CRCPD) is a professional organization made up of directors and staffs of regulatory programs from both Agreement and non-Agreement States, providing another setting for the States to interact with the NRC and coordinate the regulation of those radioactive materials that are not governed by the Atomic Energy Act. The Organization of Agreement States (OAS) is a professional organization consisting of the directors and staffs of Agreement State programs. The OAS was originally established to ease communication between the NRC and the Agreement States when most states did not have agreements with the agency. The NRC sometimes enters into agreements with State governors under specific conditions (allowed by the Atomic Energy Act) which enable individual states to regulate the use of their own specific radioactive materials inside of their borders, including radioisotopes (used in medicine and industry). Agreement States are states that meet specific conditions and agree to regulate materials using the same standards as the NRC. Usually they regulate the sources of radiation which the NRC does not (generally are all naturally occurring radioactive materials). Usually do not regulate nuclear power plants, large quantities of nuclear material, or storage of high-level radioactive waste. There are currently 35 states in agreements with the NRC. Although state agencies are the best first source for information about radiation issues that affect their constituents, this online directory for government health and safety delineates the following government agencies who assist in the regulation of nuclear waste. The NRC is responsible for licensing the facilities that use and dispose of nuclear materials. They establish standards for such facilities and are responsible for inspections. These regulations relate to all users of nuclear materials. OSHA protects people who work under exposure to radiation that are not covered by other agencies by developing and enforcing regulations. The FDA is responsible for creating standards for electronic products that are used to ensure human health that involve radiation. The DOD is in charge of nuclear weapons and the safe handling, building, storage, and disposal of such products. The DOE is in charge of developing a disposal process for used nuclear fuel from civilian power plants which is entirely funded by taxes. 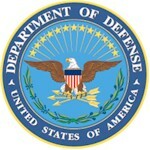 DOE is also in charge of the disposal of waste associated with nuclear weapons. Currently, DOE is working on cleaning up their nuclear sites. Technical advice and assistance to states and the privates sector in the management and disposal of low-level radioactive waste is also provided by DOE. The DOT works with the NRC and the states and governs the packaging and transportation of radioactive materials. Regulation for carriers is established by DOT. The PHSA is responsible for the monitoring of environmental radiation levels and providing technical assistance to the states and other federal agencies in planning for and responding to radiological emergencies through the EPA. Under the Atomic Energy Act, the EPA has authority to establish standards and guidance in order to regulate radioactive materials from the production of nuclear energy including the management and disposal of high-level, spent nuclear fuel and transuranic radioactive waste. The Clean Air Act is the federal law that regulates air emissions area, stationary, and mobile sources due to specific hazardous pollutants. The MPRSA involved the waters of US territories and controls disposal. The EPA is authorized to issue permits and create regulations through this act. The disposal of high level waster is specifically prohibited due to this act. The SDWA amends the Public Health Service Act as well as directs the EPA to develop a number of standards and processes including water in public systems meeting the standards, mandatory water-testing, a list of ways to treat and schedules for treating contaminated water. The RCRA gives the EPA the authority to regulate hazardous wastes from the time they are created until they are disposed of including waste minimization, generation, transportation, treatment, storage, and disposal. Under the CWA, rivers, lakes, wetlands, and other bodies of water in the United States are protected through the EPA from pollution. The UMTRCA is responsible for directing the EPA to create standards for the disposal and cleanup of contaminants at closed uranium and thorium mill tailing sites. The CERCLA provides extensive federal authority to respond directly to releases or threatened releases of hazardous substances that could possibly endanger public health or the environment. This act is responsible for assuring permanent cleanup of contaminated sites listed on the National Priority List. The LLRWPA requires each individual state to provide disposal facilities within its borders for commercial low-level waste. States are encouraged to cooperate and develop regional disposal facilities through this act. The basis for the current national program that regulates the disposal of spent nuclear fuel and high-level radioactive waste in deep geologic repositories like Yucca Mountain is the NWPA. Yucca Mountain is designated as the only site under consideration for the deep geologic disposal of spent nuclear fuel and high-level waste. The NWPAA directs the Department of Energy to eventually phase out activities at other potential sites. The long-term goal that indoor air be as free from radon as the ambient air outside buildings was established by the IRAA. The EnPA protects the Yucca Mountain area by directing the EPA to develop standards inhibit the public from releases of radioactive materials. The National Academy of Sciences conducted a study sponsored by the EPA through the EnPA that gave recommendations on necessary standards for protection of the public. The WIPP LWA is responsible for preserving land for the development and building of transuranic radioactive waste repository. It also requires the EPA to set disposal standards, establish compliance criteria and a process to certify that the WIPP facility capable of meeting the standards. The WIPP LWA must be reevaluated by the EPA every five years during its 35-year operation to make sure that standards are still being met.